I spent three months this year on sabbatical at Culture Lab, Newcastle University (UK). It was a privelege to spend time in such a vibrant research lab, as well as to get to know the city of Newcastle. 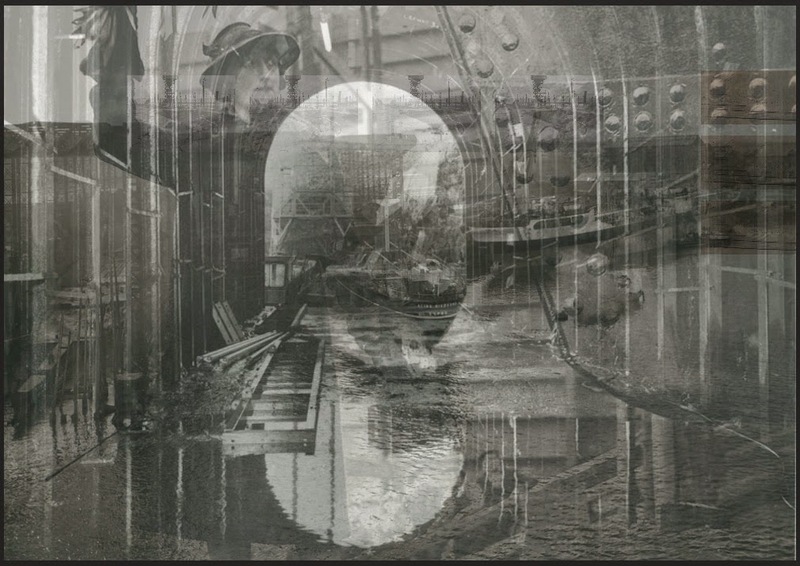 One of the projects to come out of my visit is Succession, an experiment in generative digital heritage that uses Newcastle and its history to think about industrialisation, global capital, our shared pasts and potential futures. Personally, it brings together two strands of my work that have been separate until now - on generative systems and digital cultural collections. Hence you'll also find this cross-posted over on The Teeming Void. Here, some notes and documentation on the work, some musings on generative and computational heritage. Much of my recent work with digital cultural collections has worked to create rich representations of these ever-expanding datasets. A key thread has been an interest in the complexity of these collections; the multitudes they contain, their wealth of potential meaning as complex, interrelated wholes, rather than simply respositories of individual resources. Visualisation can provide a macroscopic view of this complexity, but it can be just as vivid when sampled at a micro scale. Tim Sherratt's Trove News Bot tweets digitised newspaper articles in response to the day's news headlines, creating little juxapositions, timely sparks of meaning that can be pithy, funny, or provocative. Trove News Bot appropriates the twitter bot - the joking-but-deadly-serious computational voice of our age - and adapts it to work with the digital archive. We could call this generative heritage; using computational processes to create new artefacts (and meanings) from historical material. 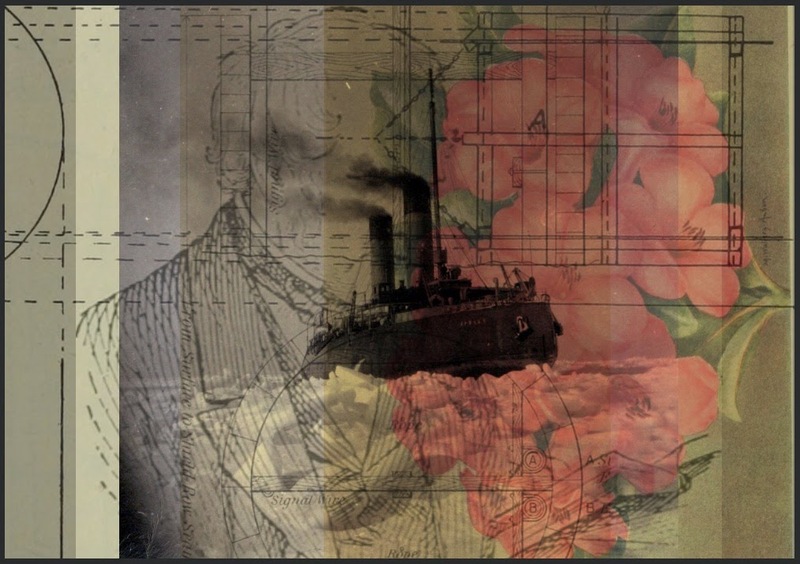 Succession applies this generative approach to the digital heritage of Newcastle Upon Tyne. Newcastle has a rich industrial heritage; it played a major role in the Industrial Revolution that began in Britain and went on to remake global civilisation. Today Newcastle is a post-industrial or de-industrialised city: coal, steel and shipbuilding have given way to service industries: education, retail, entertainment and tourism. As an outsider exploring the city I was struck by the mixture of pre-modern, industrial and post-industrial eras in the fabric of the city. Different (often inconsistent) patterns of life, work and economy are accreted in layers as the city continues the everyday process of adaptation, experimentation with the possible; working out what comes next. Our parlous states need imagination. We need to propose “what if” scenarios that help us account for what has happened in our habitat so that we can then better envisage what might happen. We need to apprehend the past. Otherwise, we won’t be able to align ourselves to historical momentum. Without doing this we won’t be able to divine the continuous tendencies that are making us as they persist out of the past into the present. In practical terms, the work is based on a corpus of around two thousand images sourced from the Flickr Commons. Most come from the (wonderful) Tyne and Wear Archives and Museums collection; many more from the Internet Archive Books collection, with a smattering of others from UK and international institutions. Succession uses these ingredients to generate new digital "fossils"; composite images assembled in the browser using HTML Canvas. This generative process is extremely simple: pick five sources at random, and place them in the frame using some semi-random rules for positioning, compositing and repetition. Opacity is kept low, so that the sources blend and merge. The visual process often obscures the source images - they end up buried, cropped or indistinguishable, squashed like fossil strata. But at the same time the source items are preserved and presented in context, so each composite retains references to its sources and their attendant contexts. Composites can be saved, acquiring an ID and permalink; the images in this post show some of my favourites, but there are over a hundred to sift through already. As a generative system this is, in formal terms, incredibly simple. It's essentially a combinatorial process, in that each composite consists of five elements from a set of around two thousand. Yet already this adds up to 2.5 x 10^15 unique combinations - it would take eight million years to see them all, at one per second. Compositing and layout parameters are random within constraints - so this simple machine can produce an immense variety of unique results; I'm still surprised and delighted by the fossils people discover (or generate). But this computational variety is also strongly shaped by the human creative choices involved in making the work. This is what Bill Seaman (combinatorial media artist par excellence) calls "authored space" - a domain of potential that is expansive but never arbitrary. The corpus reflects a handful of coherent themes, seasoned with generous sprinklings of the lateral and miscellaneous; the aim is, in Seaman's words, a kind of "resonant unfixity." 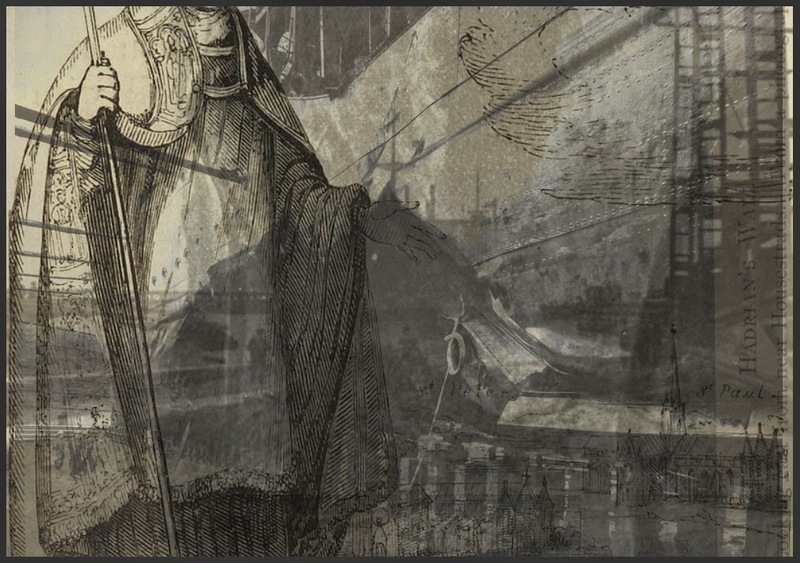 Also the corpus and the compositing process work in tandem; for example compositor treats the largely monochrome line-art and engravings of the Internet Archive material differently to other (largely photographic) sources. The generative machine is programmed in part by the textures and qualities of its material. The Internet Archive book images are interesting on several fronts; for one, they are an amazing demonstration of the power of computational processes for generating and describing large collections (like 2.6 million items large). Given the right kind of source material, this computational leverage changes the logic of collections completely. When adding and describing items is expensive, it makes sense to be selective, and publish only what is most "significant". Automation makes it possible to simply publish everything - for who's to say (really) what is significant, or how it might one day be significant? In Succession the Internet Archive material plays a crucial role. The line art and diagrams - many from obscure publications like the Transactions of the North of England Institute of Mining and Mechanical Engineers - offer evocative fragments of the machinery of mid-nineteenth century industrialisation. As for generative digital heritage, it's a fairly open-ended proposal. What happens when we turn algorithms loose on our digital culture with makerly, synthetic, speculative or poetic intention? There are some pretty solid precedents in the digital humanities for these approaches; Schnapp and Presner call for a "generative" DH in their 2009 manifesto. Before that Drucker and Nowviskie outlined a "speculative computing" with a strongly generative flavour. Gibson and Richards' Life After Wartime is an early exemplar of generative heritage in the digital arts. More recently we've seen the rise of massive online collections, web-scale computing, and a proliferation of cultural, critical and creative bots, not to mention projects like #NaNoGenMo. 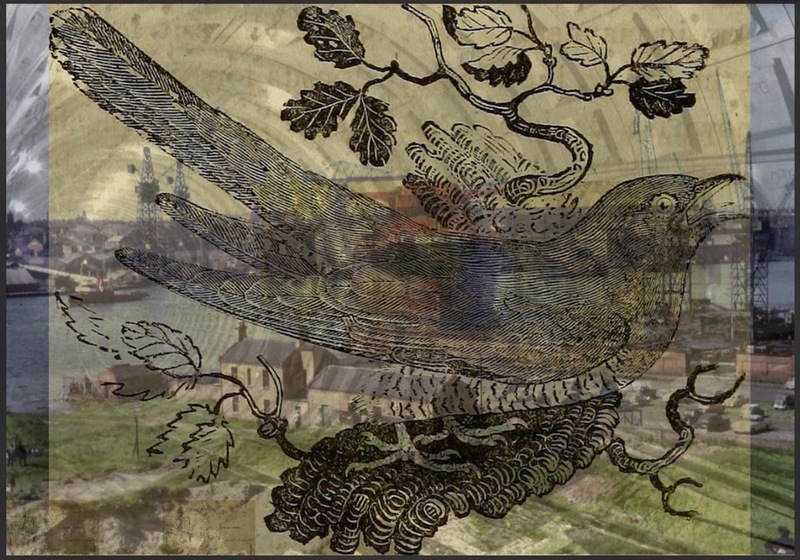 If there is such a thing as generative digital heritage, then now's the time.